I love to pamper myself, that's no secret! I love taking time on the weekends to do everything from foot baths, nail creams, hair and face masks. I wanted to share with you some of my favorite prep products so you can be looking your best for Valentine's Day! This is just my post for prep products, I will be bringing you another post of the products to use after you have prepped and gorgeous. See my prior post here. Basically mix coconut oil in with other oils such as jojoba, Vitamin E, lavender oil, argan etc. Really massage this into your scalp if you've been having intense cold weather like we have. Leave on for 1 hour, wear a shower cap or wrap in plastic wrap. Apply some heat. 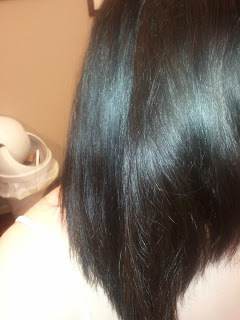 Rinse out, wash, and style as usual. 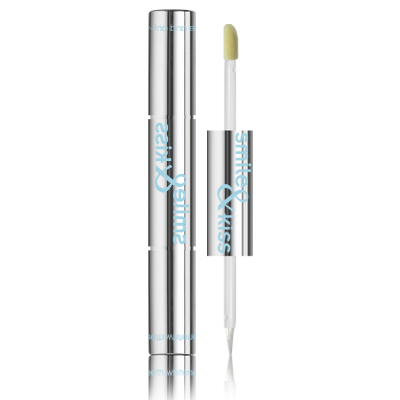 A plant extract based gel for the growth of eyelashes. 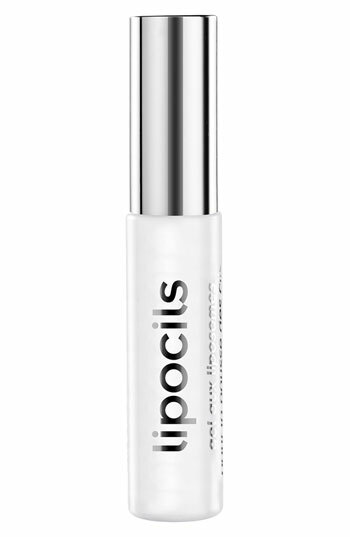 Lipocils guarantees naturally longer and thicker eyelashes in just 28 days ! 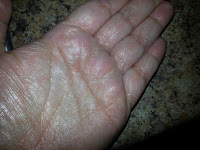 Soothe And Calm Irritated Skin. Soothing Azulene, a Chamomile Extract, along with Balsam Peru, a natural anti-inflammatory ingredient, come together in this non-hardening mask that comforts irritated, red, and very sensitive skin types. Also made with Kaolin (clay) and Wheat Starch to absorb impurities in the pores. Best when followed up with our Control Cream. $18, 2oz. This has such a soothing property to it. It is a thicker consistency when first applies but it dries in a much lighter thinner layer. I love how soft my skin feels after using this, not to mention that it looks great! 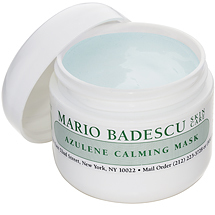 I will be reviewing more Mario Badescu skin products for you soon and filling you in on my current skincare routine. The formula is infused with silica to draw out dirt, oil and impurities from skin, as well as Salicylic Acid, an acne fighting ingredient to treat blackheads. The blue mask is applied to wet skin and should be left on skin for five minutes; menthol will have a tingling feeling on skin. Once the mask dries it will turn white to indicate that it is done working. Rinse skin, pat dry and reveal clean skin. This is my favorite drugstore ($5) product for clearing out blackheads. Its not perfect, but it does a pretty great job. My favorite is Dr. Brandt's Pores no More, but it retails at $45 for 1oz. I use the foam for the little red bumps I seem to get along my chin and the bottom of my face, making my face look much redder than I would like. The foam seems to have cleared up a lot of the redness and small bumps quite nicely. There is also a roller ball that is included for spot treatment and a lotion! I will be telling you more about these products soon as well! This is cruelty free, natural, and vegan! Contains organic Brazilian sugar cane, a natural and mild exfoliant that smoothes and soothes. 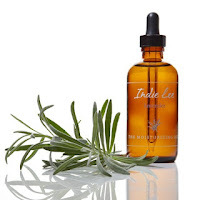 Spearmint oil and peppermint oil provide a cool invigorating sensation without irritation. I love this stuff! It really helps to exfoliate dry skin off of my poor wintery lips and leaves such a cool and refreshing sensation. 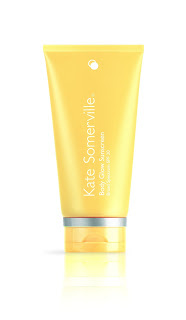 This ultra-hydrating formula blends exotic, nourishing ingredients to deliver long-lasting moisturization. 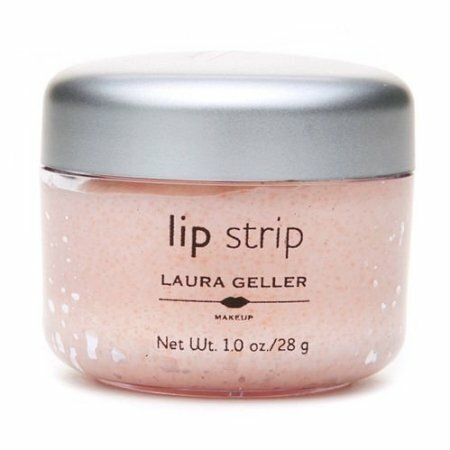 This fast-absorbing lip treatment features Kokum Butter, a natural ingredient rich in nourishing Vitamin E and essential fatty acids. Harvested from the fruit of the Garcinia tree and revered for its superior ability to soften skin and restore elasticity, Kokum Butter helps soothe and rejuvenate. 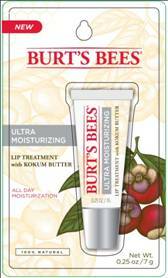 Combined with softening Shea Butter and natural seed oils, the Ultra Moisturizing Lip Treatment with Kokum Butter ($5.00 at BurtsBees.com) keep lips supple and smooth all day long. I love this stuff and I love that it is only $5! 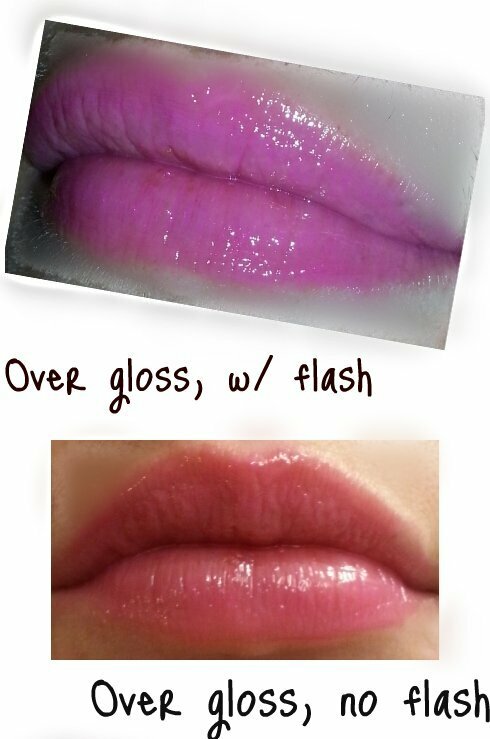 I've been using it frequently as a gloss and it pairs beautifully with all my lip products as you see above from my Manic Panic post.. This also works well alone. It has a great taste and smell to it and it is so buttery and creamy! Its a total dream product. Discover the French secret to a kissable smile! 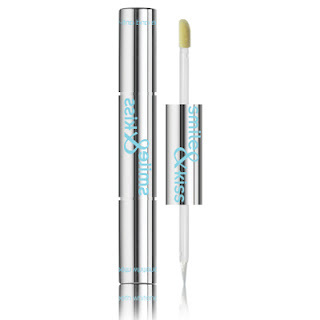 Handy double-sided applicator makes it easy to keep teeth sparkling and lips glittering and looking their best. Ultraportable to touch up your ivories and freshen tired lips anytime, anywhere. The all-natural solution to a dazzling smile. 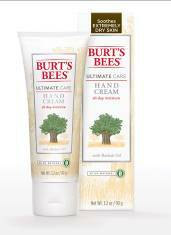 The Ultimate Care Hand Cream from Burt’s Bees ($16.00 at BurtsBees.com) is clinically proven to moisturize extremely dry skin. The quick-absorbing formula features the highly moisturizing ingredient of Baobab Oil, harvested from the fruit seeds of the “Tree Of Life”, the Baobab Tree. Used for centuries by women in the African Savanna to guard against the harsh, dry climate, nourishing Baobab Oil is rich in essential fatty acids and antioxidants. Combined with the nourishing benefits of Watermelon Seed Oil and a gently exfoliating natural fruit acid complex, the new Ultimate Care Hand Cream helps keep even the driest hands feeling soft and smooth all day long. You may not need a sunscreen if you are in a colder climate like I am, but this also acts as a moisturizer and smooths skin for flawless looking results. This has a lovely shimmer to it that will work well on your declate area, arms and legs! Right after application it may look a little greasy, but it sinks right into your skin, I just wanted to demonstrate the gorgeous shimmer this product has. The lavender oil retails for $34 and it comes in a huge 4oz glass bottle with a dropper top. This bottle will last you a very long time (4-9 months), although it is one of the few products I've actually run out of because I use it nearly daily. Use this all over your legs when you are freshly out of the shower. Your skin will never feel better and the soothing lavender will make you feel amazing. I also recommend taking a bath and using 1-2 droppers full in the bath water. Do a foot-bath first with warm water and olive oil. Then use the Baby Feet product. 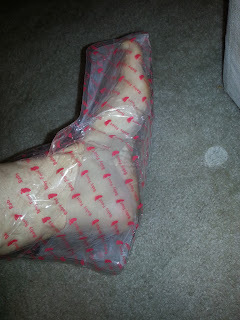 You can do a foot-bath after or a couple days after as the peeling begins. After about 2 weeks, you can start applying product or as soon really as the peeling has stopped. 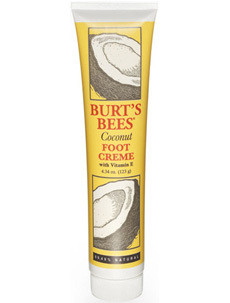 I then use Burt's Bees Coconut Foot Cream. Did you know that some of us can have up to 80 layers of accumulated dead skin on our feet?! 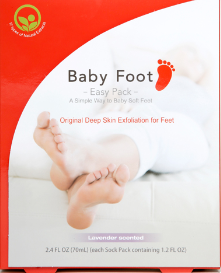 Baby Foot’s gel-filled booties contain 17 different natural extracts that penetrate the dead skin cells and dissolve the Desmosomes (adhesive fibers) that are between those layers—allowing the peeling process to begin gently and naturally. www.beautysage.com. I thought this really worked nicely and I noticed peeling within 2 days of application and up to about a week later. I didn't have as dramatic results as they advertised, but it was effective nonetheless. I wish more skin had come off from the heel of my foot which is my biggest problem area, but the sole of my foot was really smooth and soft. This pampering natural foot cream combines coconut oil, lanolin and vegetable glycerin to revive and rejuvenate even the driest, most neglected feet. There's also a hint of natural rosemary and peppermint oils to refresh tired feet. I use this before bedtime and I wear socks over it since this is a very oily creamy product. I slather a good amount on and wake up to my feet looking much better. This isn't a permanent solution however, I have to do this about 2-3 times per week to keep my feet looking human. So there you have it! My favorite products to prep yourself head to toe for Valentine's day! Stay tuned for more Valentine's day posts with lots more great products and look ideas! These all look great and many are products I have tried!